Born at Strathclair on 13 October 1889, son of farmers John A. Hopper and Margaret Reid, he attended Rapid City School and Newdale School then completed high school in Winnipeg. In 1912, he enrolled in a BA degree at Manitoba College and later completed an MA degree. He was a member of the teaching staff of the Manitoba Agricultural College (later the University of Manitoba), serving over a 43-year period as Lecturer, Assistant Professor, Associate Professor, and Professor in the English Department until retirement in 1955. He then worked about ten years as a part-time public relations officer for the sugar beet industry in Manitoba. 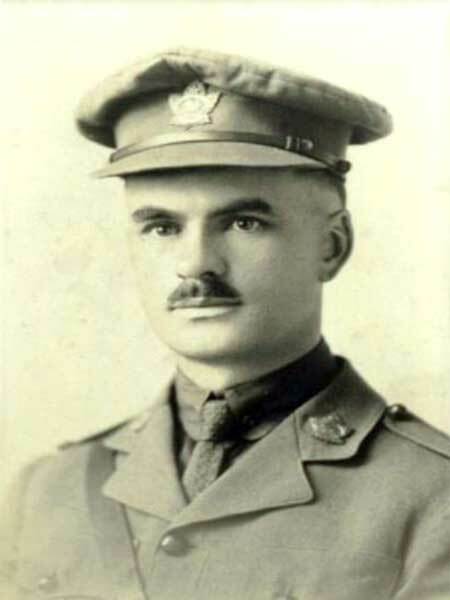 In 1916, he enlisted in the Canadian Expeditionary Force and served in France as an machine gun officer for the 196th Western Universities Battalion. He received the Military Cross in 1917 and was discharged in 1919 with the rank of Captain. During the Second World War, he was the Commanding Officer of the University of Manitoba Canadian Officers in Training Corps, and served in London for about a year. On 19 May 1916, he married Eunice Cuthbert (1889-1989) at Pilot Mound. They had three children: Cuthbert Clark Hopper (b 1917), Gordon Hopper (b ? ), and Mary Elinor Hopper (b 1921, wife of Hume B. Young). He was a member of the Masonic Lodge (Past Master, Prince Rupert Lodge No. 1), Granite Curling Club, Southwood Golf Club, River Heights Bowling Club, and Westminster United Church. He died at Winnipeg on 2 July 1972 and was buried in the Chapel Lawn Memorial Gardens. Obituary, Winnipeg Free Press, 3 July 1972, page 14. This profile was prepared by Donald Young and Gordon Goldsborough.